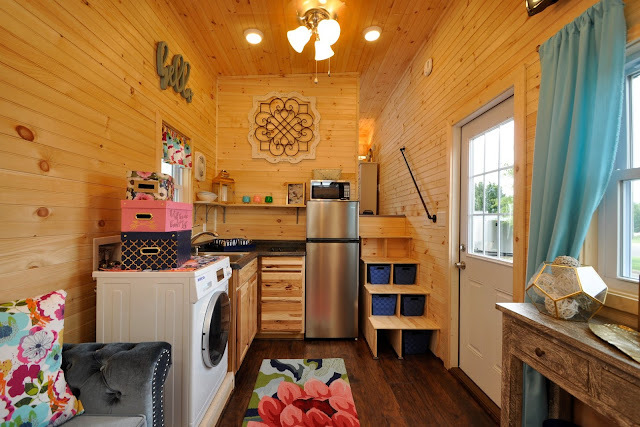 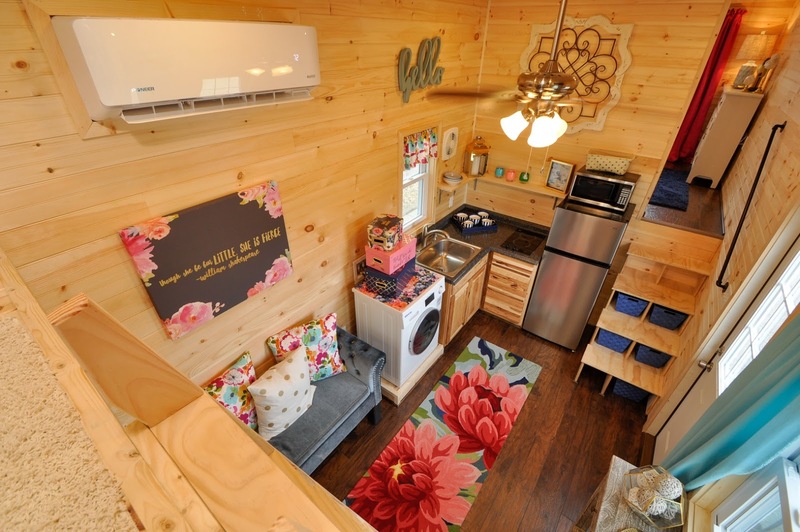 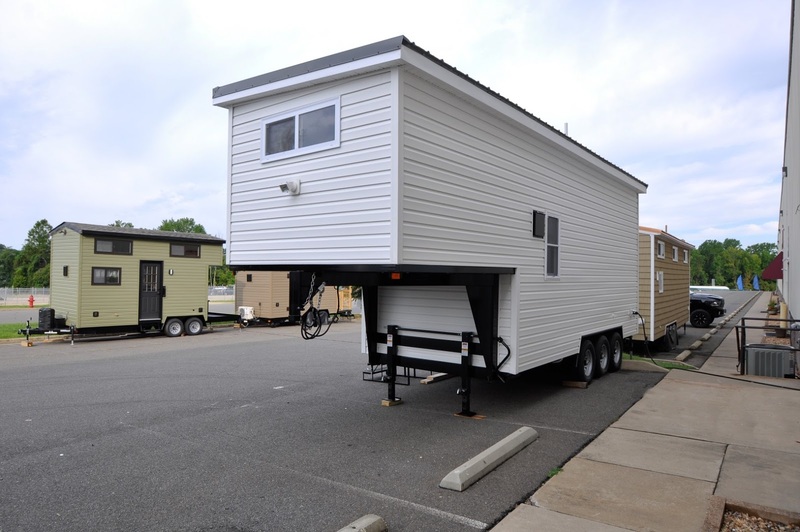 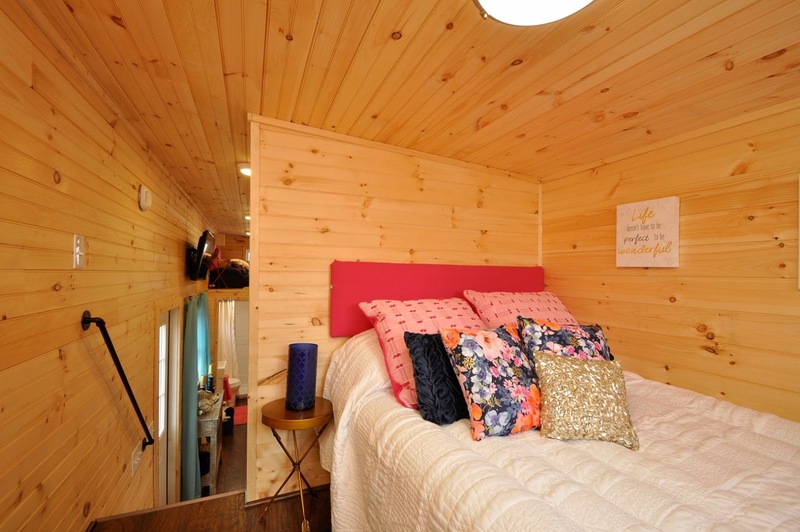 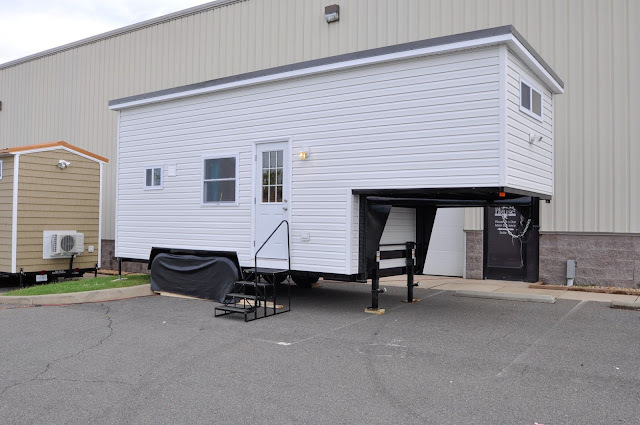 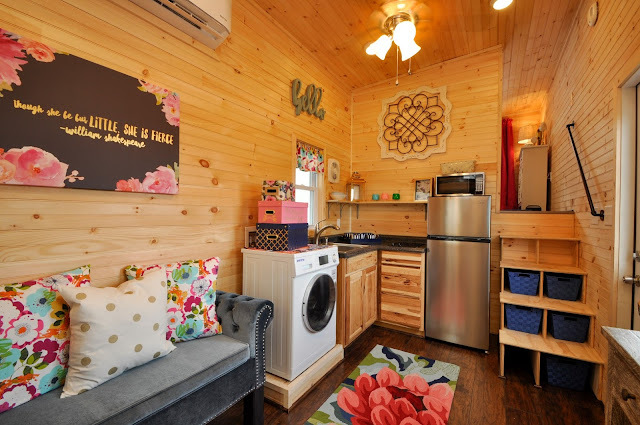 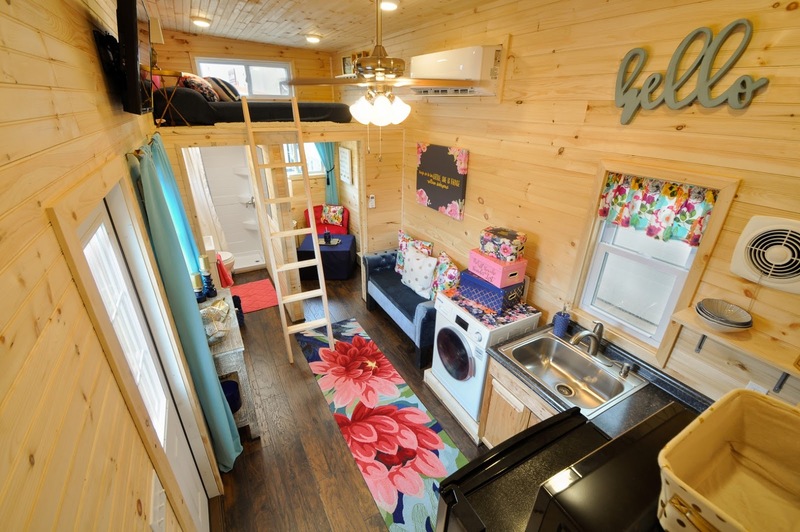 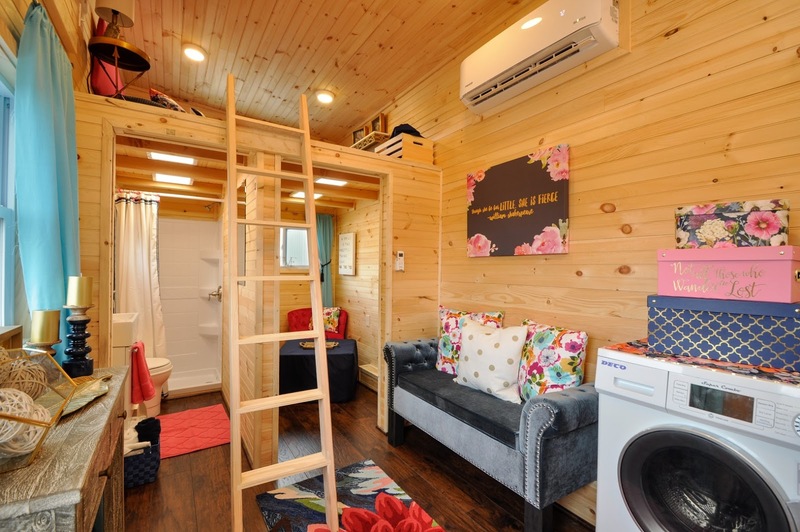 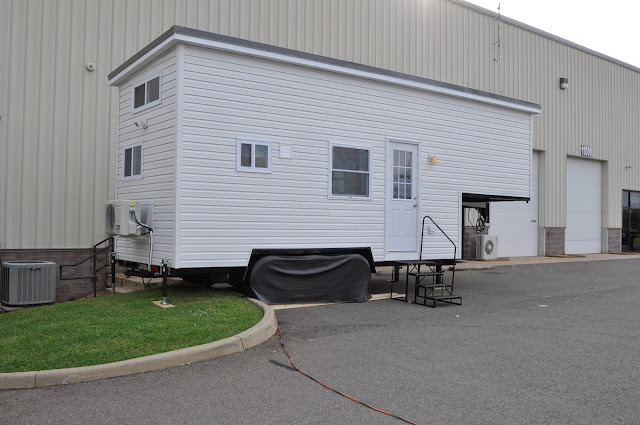 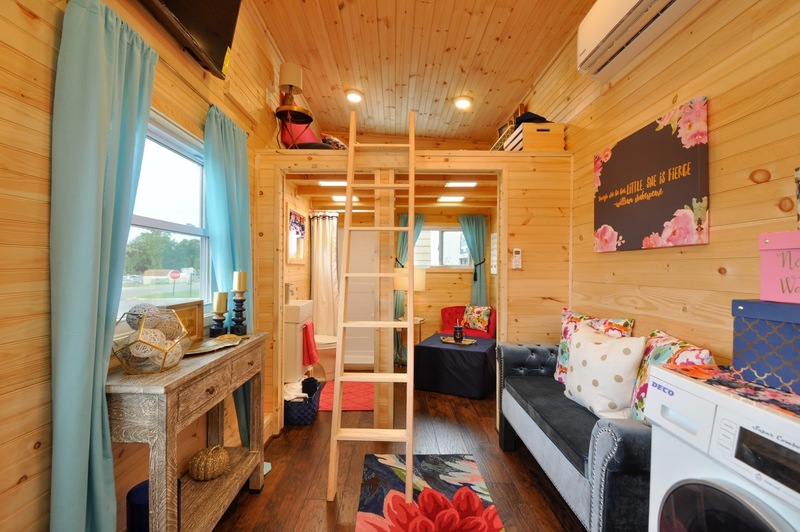 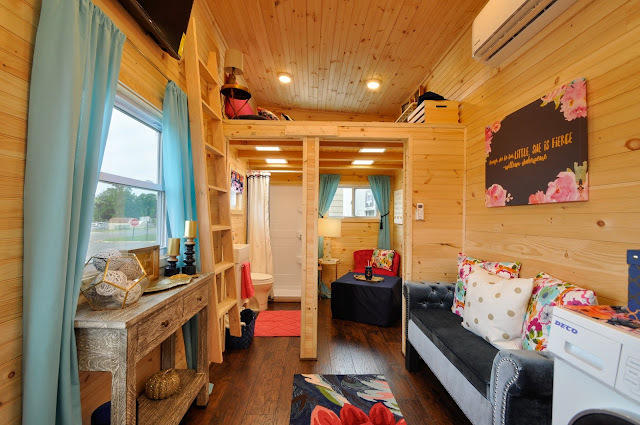 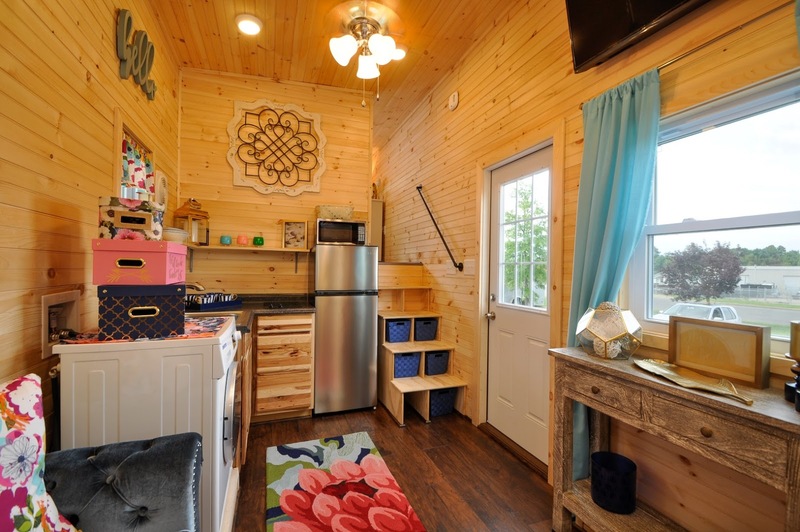 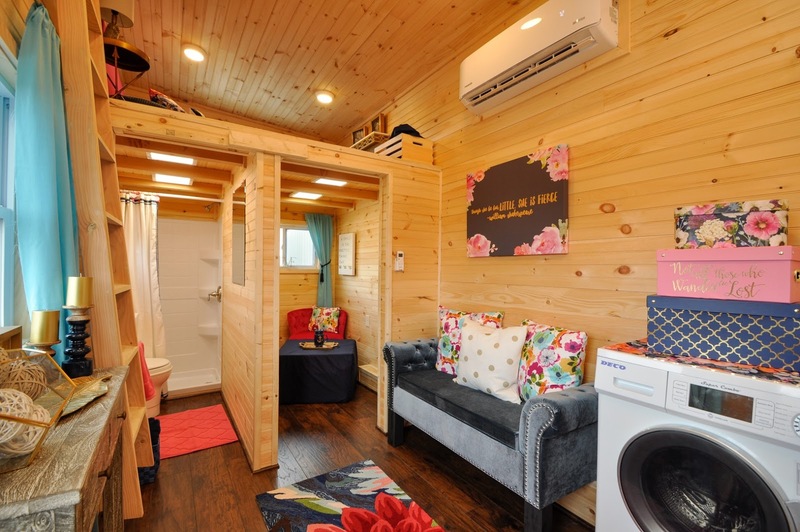 Have a look at the Georgia model from Tiny House Building Company- they managed to fit a total of three bedrooms into a 315 sq ft home! 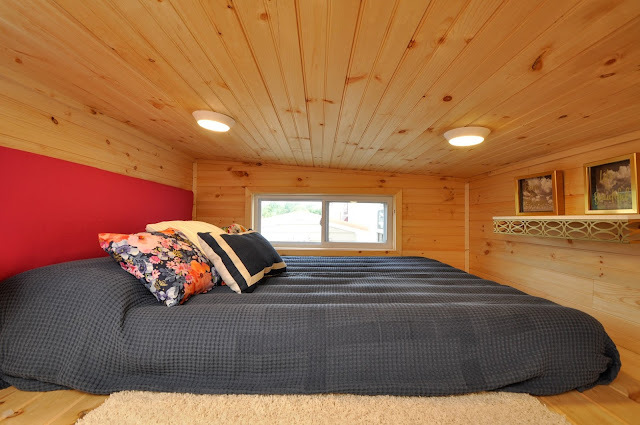 There's a ground floor bedroom, a king-sized bedroom in the home's "neck", and a third loft bedroom that's accessible by stairs and has enough room for a king-sized mattress! 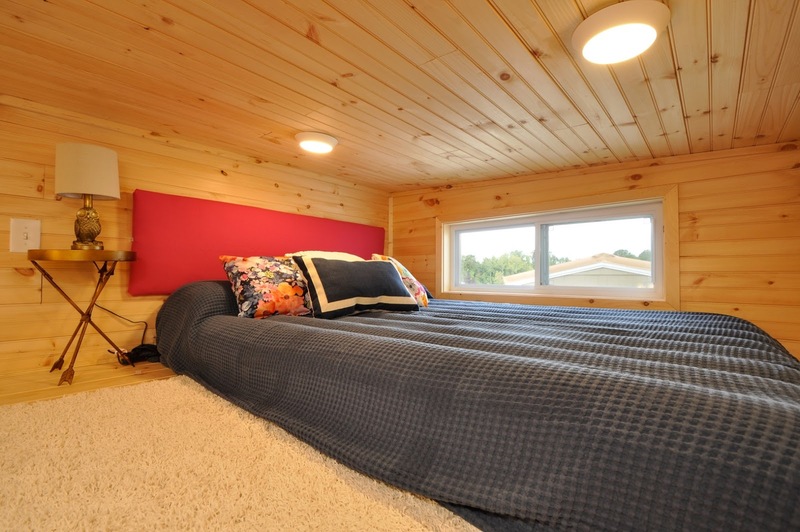 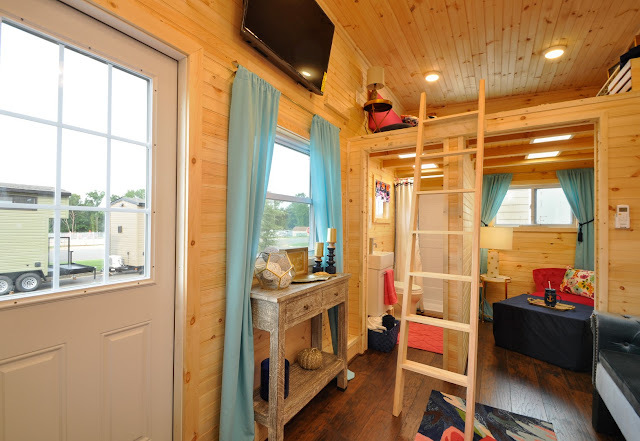 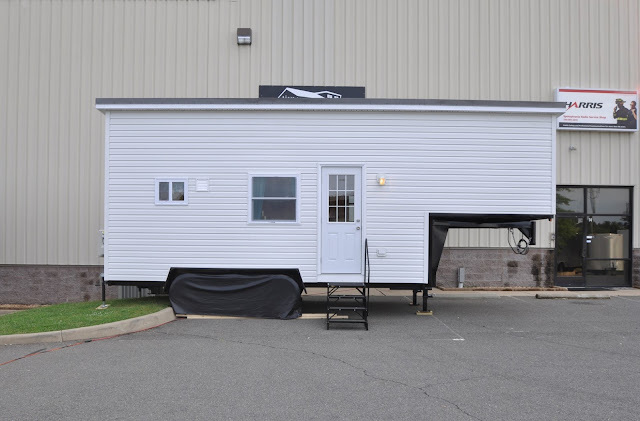 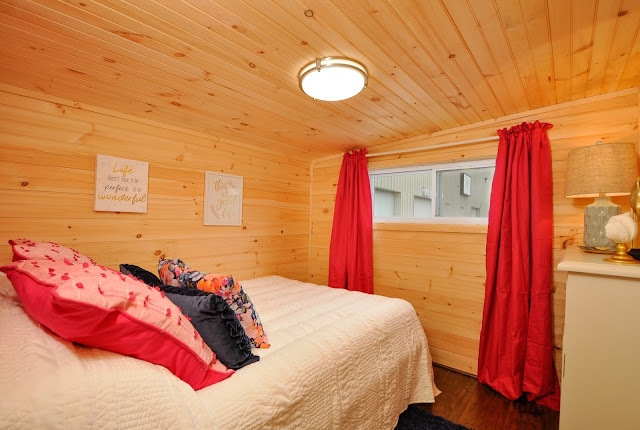 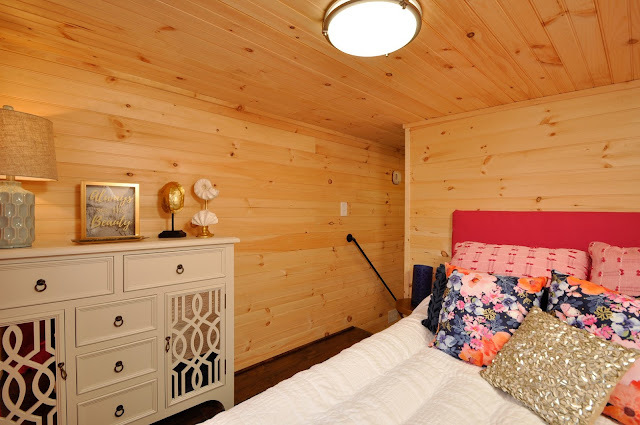 The Georgia is built onto a gooseneck trailer with pine T&G walls and ceilings that give the home a warm, rustic look. The home is all electric and in addition to its three bedrooms, there's also a kitchen, bathroom, a living room area, and laminate flooring throughout. The kitchen comes equipped with a two-burner induction cooktop, a large sink, a washer/dryer combination unit, and hickory cabinets. 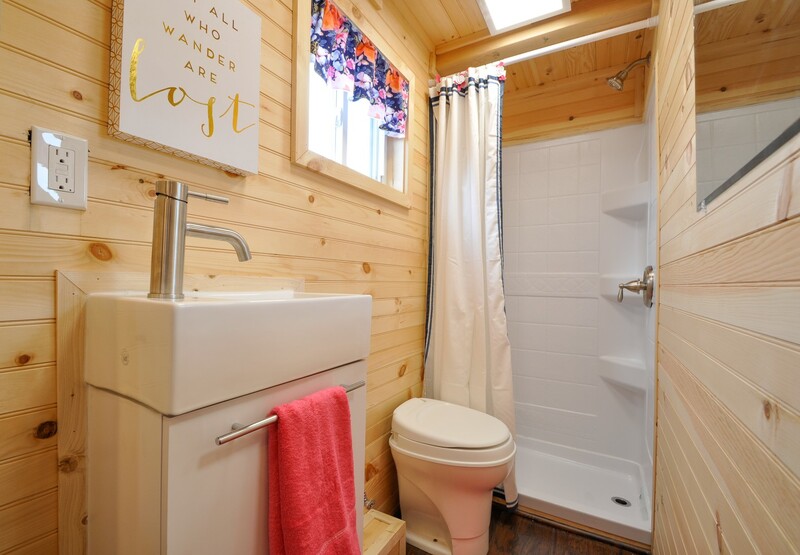 The bathroom features a shower, custom sink with a vanity, and a dry flush toilet. 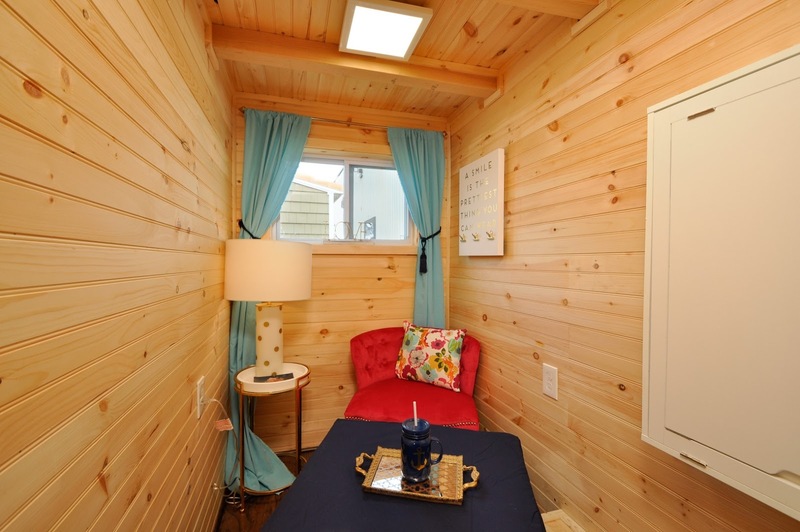 For more information and/or inquiries on this tiny house, contact Tiny House Building Company here!